Strengthen the competitiveness and extroversion of Greek audiovisual production companies. Promote synergies with other markets within the film, television and new media industries. Give prominence to the capabilities of the domestic audiovisual industry. Collaborations with public and private bodies for the formulation of principles implementing and promoting quality and competitive audiovisual works. Create jobs in the creative and cultural industries. Training for young executives in the industry. Protect the business principles of its members and the producer’s role in the creation of audiovisual works. Representation of its members at European organizations and producers’ associations. Create and disseminate technical know-how in the field of audiovisual works. 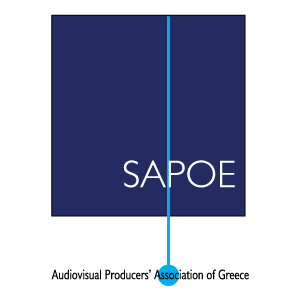 SAPOE envisions the establishment of substantial investment incentives that will contribute decisively to the development of the domestic audiovisual industry with benefits in the microeconomics and the macroeconomics of our country, as well as improving the functioning of public institutions which promote and aid audiovisual works in order to realize their purpose within our culture, economy and society.